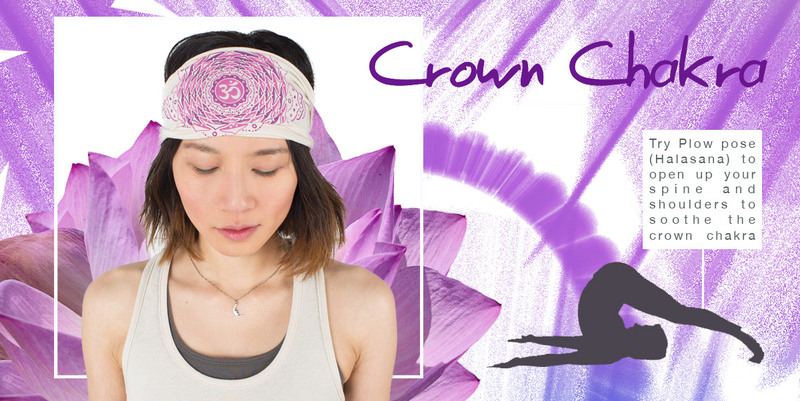 Chakras are areas of energy in the body that run through your center from the base of your spine to the top of your head. 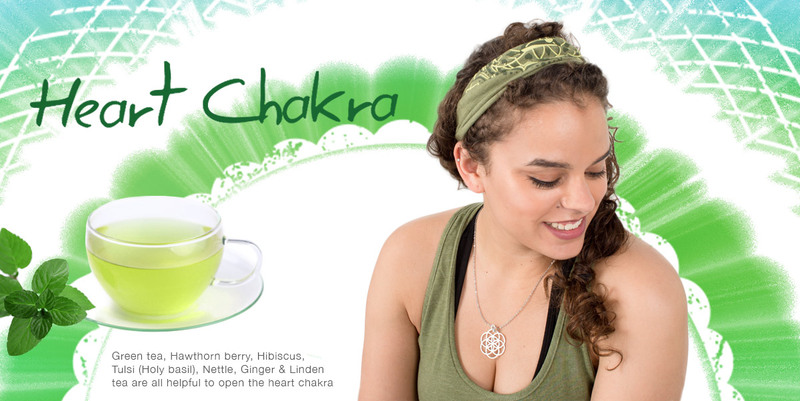 The word "chakra" (prounounced "CHOCK-rah") is Sanskrit, meaning wheel, which refers to the spinning energy in each one. 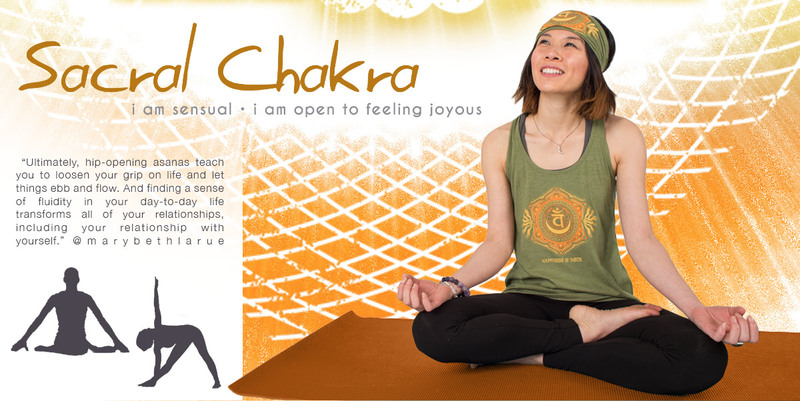 Each chakra has its own symbolism and each affects different aspects of your being: physical, mental, and spiritual. 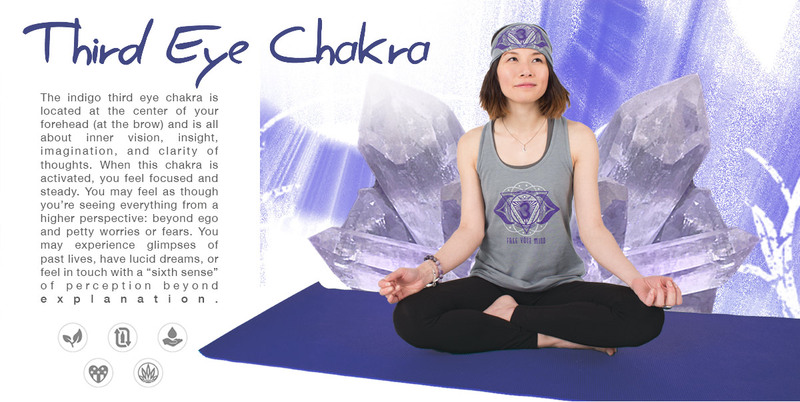 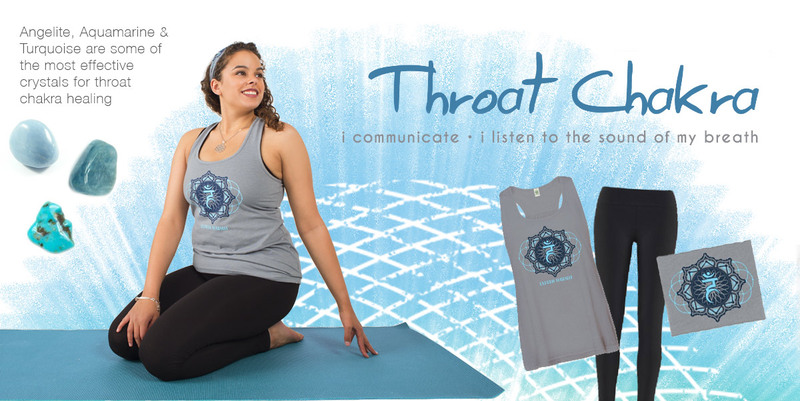 Our Chakra Clothing Collection focuses on each of the 7 chakras and features yoga tanks tops, headbands, and t-shirts with Chakra symbolism and messages. 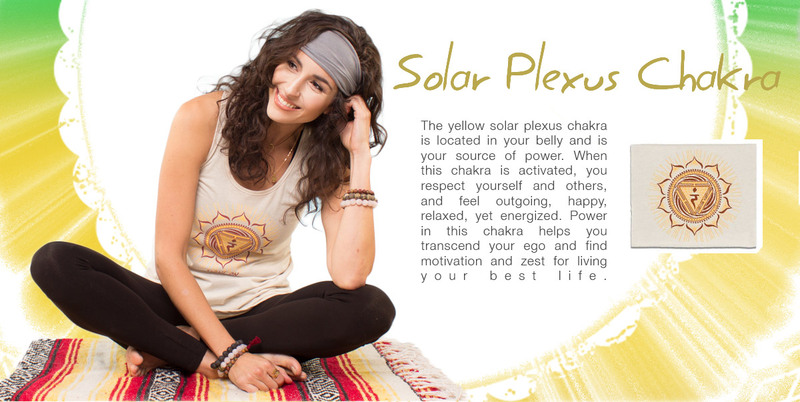 Read more about chakras and balancing your chakras on our blog.